Health is Wealth! We, at OluOlu, have reiterated the need for supplying nutritious and wholesome food products to our clients for ages. Indeed, the market for exotic food has grown tremendously in the last few years while OluOlu has maintained its hold over its customers who refuse to shop for their favorite items elsewhere. The OluOlu brand equals health & satisfaction without compromising on taste either. The e-commerce resources that offer African food online cannot do without including the wide range of the food items sourced from the heart of Nigeria today. True, the heart is delighted to find a huge big steak on the plate but the ill effects of red meat are known to everyone making them look for specific vegetarian food UK at present. There is no reason to be alarmed at the thought of eating plain food though. OluOlu is committed to making you enjoy a sumptuous meal courtesy its astonishing range of Nigerian items that also happen to be the most exciting gluten free foods ever. Sure, a bowl full of rice, carrots, and tomatoes can be healthy but our customers just cannot do without their daily dish containing the delicious yam African food either. This particular veggie is no novelty though. In fact, it has been around for ages and was often utilized as an alternative form of medication. Researchers have found the root vegetable to be advantageous in providing relief from the excruciating pain of arthritis while minimizing the muscles cramps. The pounded yam from OluOlu can be made into the fufu, the Nigerian staple almost instantly requiring no laborious cooking process or wastage of time. Creating a satisfying bowl of the spicy, lip-smacking Nigerian soup can also be done in a jiffy thanks to a pack of OluOlu’s Pepper soup mix that contains only healthy, authentic ingredients. However, it is the yummy plantain and coconut chips that have turned out to be the quickest selling times at grocery stores specializing in authentic gourmet, ethnic items. The crunchy snack comes in both sweet and savory forms making it a viable alternative to the potato chips that are often held responsible for obesity. Sure, the top chefs recommend extracting fresh coconut milk for making the best Nigerian rice milk, Egusi soup, and the ubiquitous fufu. It is hard for them to differentiate the packaged product from OluOlu from the original hand extracted milk unless they know the truth. OluOlu believes in conserving the natural resources which is why we source our only sustainable produce. 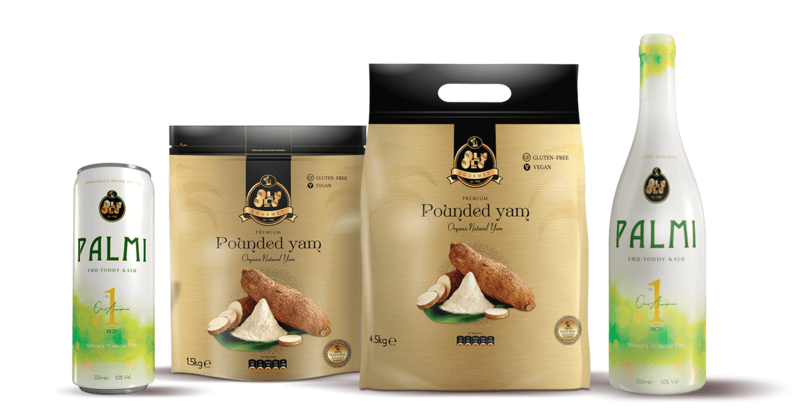 Our clients are elated to find no artificial flavoring or colors in our products and turn to OluOlu time and again for finding genuine food items that transport them instantly to Africa. No amount of reading will make you realize how truly great the OluOlu products happen to be. Go ahead and buy them online to check out the fact!